Push-back Rollers – a dynamic storage solution based on the P90 Pallet Racking System and including wheel/roller conveyors. Ideal if you're storing bulk goods on pallets according to the Last-in, First-out (LIFO) principle. Once a pallet is picked from the pick-face, the rest roll forward automatically under a controlled speed. Up to 9 pallets can be stacked in this way. Push-back Rollers can also be used to provide additional storage space in otherwise unusable areas, such as above cross-aisles or around dock-levellers. 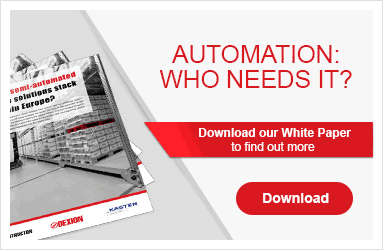 Very high occupancy rates compared to Drive-in Racking or Block-stacking.